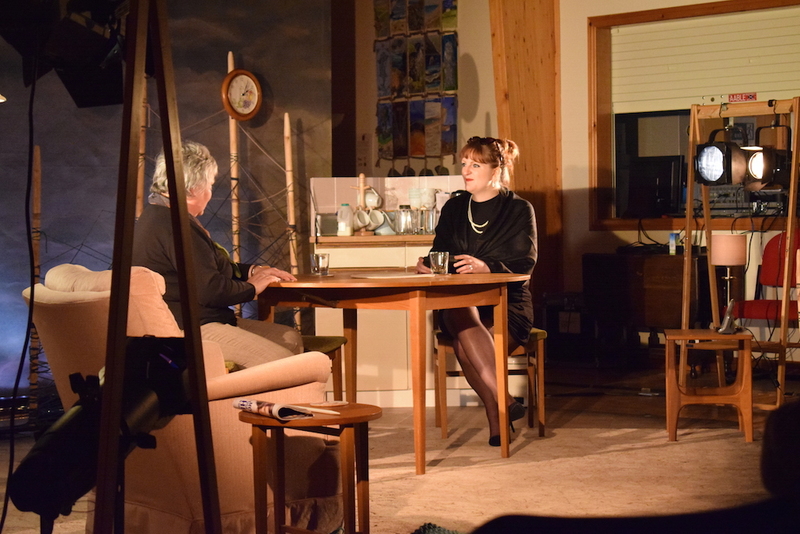 This month we were very fortunate to be visited by Morna Young and the cast and crew of her play “Netting”. The play was put on in the hall with a simple backdrop. The audience were presented the plight of these three women through clever dialogue and simple but effective musical sections. Although some of the audience admittedly struggled slightly with bits of the language (the characters spoke in a strong North-East Scots dialect) the emotion was undeniable and the good humour and strength of these women despite their situation was uplifting. After the show the audience were treated to wine and nibbles and a chance to catch up with the cast and crew- many will have recognised the Colonsay-connected director of the show, Alice Butler.